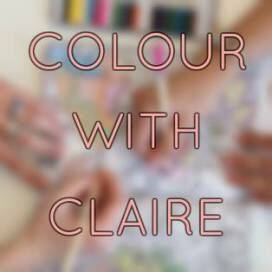 Colour+: A Wyvern? 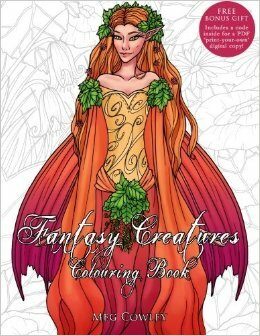 It's a "Fantasy Creature"
There's a new trend coming in colouring books; or rather a new subject. We've had gardens, forests, jungles, oceans and lots of animals, birds and fish. Stand by for magical and mythical creatures. Meg is amongst the first to show the way with this new book. 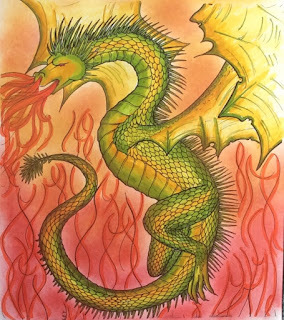 Who will love it - those who love colouring fantasy images, and those who like mythical creatures. This is a book that gets the emotions stirred. I love these fierce, fiery, dangerous, cunning, terrifying creatures. Oh, there are some more charming ones there too, but the bad guys are much more interesting to colour. I remember suggesting to an artist a year ago that mythical beasts would be fantastic. So it's good to see the wave of books on this subject starting to come. And do you notice that there's a research element to this book too? I wasn't totally sure what a Wyvern was so I went googling and learnt something. There are several others I'll have to research too. So what creatures do we have in here? Centaur, dragon, dryad, faerie, faun, goblin, grim, gryphon, hyppogriff, imp, stag as king of the forest, knucker, kraken, mermaid, phoenix, revenant, siren, witch & sorcerer, wyvern and unicorn. There's also a rune stone with a puzzle for you to work out. These are hand drawn images and there's lots of movement and action going on in many of them. A few are in portrait style too. The line width is medium so you shouldn't run into too many problems with excessive detail. Each of the 25 illustrations is printed twice so you get to use a page to try out ideas, or to share with a friend. I was sent the pdf so there may be differences in the actual book. Check out Meg's flip through video up above. 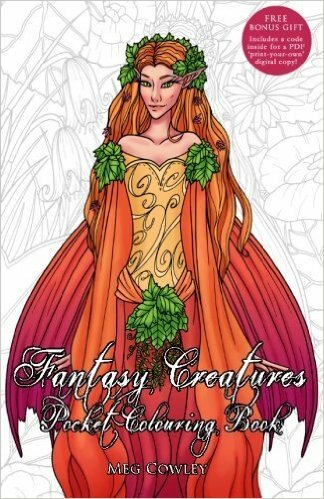 At the front of the book is introductory information on each of the creatures. 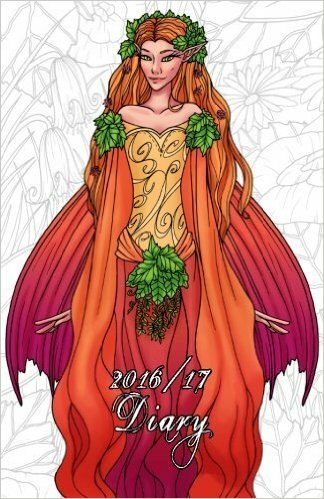 The images are on single-sided pages so you don't need to be concerned about using alcohol-based pens. They will bleed through though, so protect the following page. The white paper is the standard CreateSpace paper, so is of medium quality. 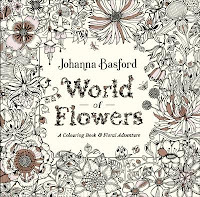 At the back of the book there is a link where you can download the pdf of this book for free, maybe to print on paper of your choice. Thanks Meg. Cross-hatching? Pointillism? Conture lines? - review is here. * The pdf was sent to me by the artist for an honest appraisal. Thanks.